As the world celebrates World Maths and Pi Day on March 12th and March 14th, April is also Mathematics and Statistics Awareness Month. To celebrate these special occasions, the Muslim Heritage website would like to draw your attention to the invaluable, but often overlooked, contributions of mathematicians from non-European civilisations, in the areas of Algebra, Arithmetic, Geometry and Trigonometry, to name but a few. 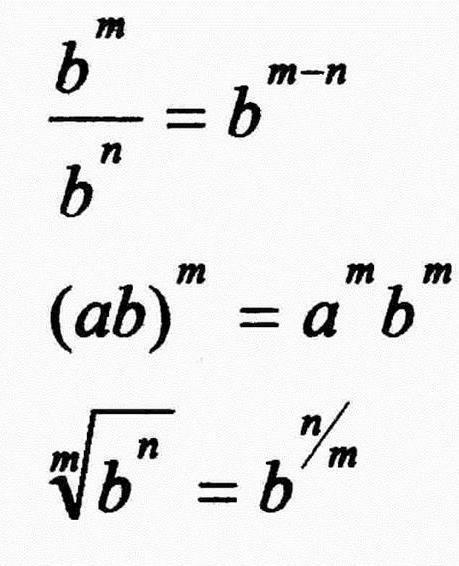 We owe such mathematicians for the development of the numerical system we still use today, for geometrical pattern designing, the present arithmetical decimal system and the fundamental operations connected with it: addition, subtraction, multiplication, division, exponentiation, and extracting the root. Scientists in Muslim heritage also introduced the 'zero' concept to the world. In order to highlight such contributions, Muslim Heritage has compiled a series of articles on illustrious mathematicians such as Muhammad ibn Musa Al-Khwarizmi, who amongst his many accomplishments made unique advances in algebra; Omar al-Khayyam is renowned for his developments in cubic equations; Abd Al-Hamid Ibn Turk who made substantial developments to algebra; Ali Al-Qushji, who established his own school and educated brilliant scholars such as Milla Sari Lutfi during the Ottoman Empire. The development of Arabic maths was carried on in close interaction with the mathematical traditions of previous cultures. The mathematicians of Islam drew on the treatises of Greek scholars such as Euclid, Archimedes and Apollonius. They also knew and used some of the results of the early classical period of Indian mathematics, such as those of Aryabhata, Varahamihira and Brahmagupta. Early mathematics was revolutionised by Muslim scholars like Al-Khwarizmi, the founder of Algebra; Al-Kindi, Al-Khazin, Al-Khujandi,Al-Sijzi, Abul Wafa and numerous others.This article reviews some of the important works of these mathematicians. Amazing snapshots from Khiva (formally known as Khawarizm) in Uzbekistan. The birth place of the famous mathematician Al-Khawarizmi (780 – 850 CE). A prosperous centre of learning during the Golden Age of Muslim Civilisation, it was also a key city on the Silk Road like Bukhara and Samarkand. New Results In The Research On Some Mathematical Works Of Nasir Al-Din Al-Tusi, by Babayev, A. and Medzlumbeyova, V.F. The article analyses the mathematical contents of four texts by Nasir al-Din al-Tusi (1201-1274), one of the most original and prolific scientists of the classical Islamic tradition. These four texts on mathematics are: Al-Tusi's Tahrir (Exposition) of Euclid's Elements, the text Shakl al-Qatta', The Risala al-Shafiya in which Al-Tusi made a substantial contribution to solve the classical problem of parallel lines, and finally the treatise of artithmetic Jami' al-hisab. Kerala Mathematics and Its Possible Transmission to Europe, by Aleida, D.F. and Joseph, G.G. The Kerala School of astronomy and mathematics was an Indian school of mathematics and astronomy founded by Madhava of Sangamagrama in Kerala, South India, which included among its members several scientists. The school flourished in the 14th-16th centuries. In attempting to solve astronomical problems, the Kerala School independently created a number of important mathematics concepts. In this well documented article, Dennis Francis Almeida and George Gheverghese Joseph reconstruct the mathematics of Kerala School and attempt to show the possible ways of its transmission to modern Europe. Contribution of Al-Khwarizmi to Mathematics and Geography, by Ayyubi, N.A. The famed Muslim scholar Al-Kwarazmi has long been known as the father of Algebra. In this article, Aydin Sayili presents an alternative view of the inception and development of Algebra in the works of of 'Abd al-Hamid Ibn Turk, a well known mathematician of the early 9th century, probably contemporary to al-Khwarizmi. The author raises an outstanding hypothesis according to which Ibn Turk may have written the first Arabic book on algebra in Islam, and not Muhammad ibn Mûsâ al-Khwârazmi. Ali Al-Qushji was one of the most noteworthy and important scientists in the Islamic world. He wrote valuable works especially on astronomy and mathematics. He was a student and co-worker of the famous statesman and scientist Ulugh Beg. After Ulugh Beg's death, Ali Al-Qushji left Samarqand to Tabriz where he worked for Akkoyunlu Ruler Uzun Hasan. Afterwards, he worked for the Ottoman Sultan Muhammad II in Istanbul during the last two years of his life. 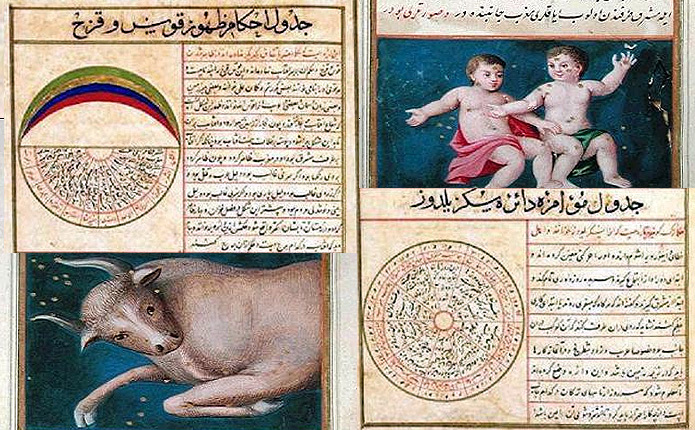 This article presents a short survey of Al-Qushji's contributions to mathematics and astronomy. In this important article, Professor Ahmed Djebbar, the renowned scholar and specialist of the history of Arabic sciences, especially in the Islamic West, presents a general survey on mathematical activities in the Medieval Maghrib since the 9th century. Relying on his own studies and on a direct knowledge of the original sources, the author draws a rich picture of scientific activity in the Islamic west and thus shows the importance of the contribution of Maghribi mahematicians to the Arabic and Islamic mathematical tradition. This article was a talk given at the 7th Maghrebi Colloque of the History of Arabic Mathematics held from 30 May to 1 June 2002 in Marrakech, Morocco. It presents a new manuscript of the mathematical work Kitâb al-Bayân by the Moroccan mathematician of the 12th centrury Al-Hassâr, together with related remarks on the transmission of the Hindu-Arabic numerals to the medieval West. The following article focuses on the cubic measure of the volume of the sphere in Arabic mathematics. After a short presentation of the Greek and Chinese ancient legacies on this topic, the article surveys thoroughly the different formulas methods proposed by the mathematicians of the Arabic-Islamic civilization from the 9th to the 17th century to measure the volume of the sphere. The achievements of eminent scholars are thus presented: Banu Musa, Al-Buzgani, Al-Karaji, Ibn Tahir al-Baghdadi, Ibn al-Haytham, Ibn al-Yasamin, Al-Khawam al-Baghdadi, Kamal al-Din al-Farisi, Jamshid al-Kashi, and Baha' al-Din al-'Amili. Since the middle of the 20th century, the history of Arabic mathematics evolved as a sub-field of history of science and became an area of a special expertise in which intermingled the skills of confirmed mathematicians with the cultural sense of professional historians. One of the experts who brilliantly emerged in this field was Ahmad Salim Sa‘idan (1914-1991), a Palestinian born in Safad who settled in Amman for a long period of his life. This article, intended as homage to this son of Palestine, presents a biographical sketch and an extensive bibliography of his works on the history of mathematics and astronomy in Islamic civilization.